Twitter may make it easier to tweetstorm. Must it? The Twitter thread, also known as the tweetstorm and the Twitter essay, has had a big year. 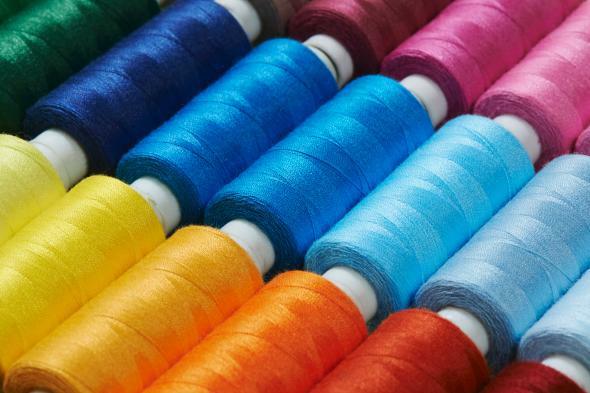 Virginia Heffernan argued in Politico that the thread is the literary form of 2017. And now TechCrunch confirms that the service is testing a feature that would make it easier to tweetstorm. Twitter’s tradition of following the lead of its users has benefited the service mightily over the years—that’s how we got the hashtag, for example. But with last week’s expansion of the character limit to 280, Twitter is straying further and further from its founding premise: Lately the platform feels less like microblogging and more like plain ol’ blogging. Is this the Twitter we really want? Will Twitter’s official sanctioning of tweetstorms further embolden the worst threaders to commit further thread crimes? It remains true that despite the occasional gem, most tweetstorms probably do not need to exist—or be co-signed by Twitter as a great way to communicate. The war on brevity is real. There’s also the fact that tweetstorms are a lot like regular storms: You can’t predict with exact certainty when and where they’ll take hold. As described by TechCrunch, the way the new feature will work is that “individual tweetstorm entries can be written one-by-one then published to Twitter in a staggered fashion with a press of a ‘Tweet All’ button.” This ignores the organic quality of many threads, the way they swerve and dip into tangents as you watch them in real time. “The thing that makes the Twitter thread unique from any other kind of long communication is you can respond and address things point by point,” Claire Willett, a writer based in Portland, Oregon, told me a few months ago when a tweetstorm feature was first rumored. Willett had a Twitter thread she started on one of her accounts go viral earlier this year—in 100 tweets, she argued that Joey and Rachel were actually a great couple on the TV show Friends. She’s right that a Twitter thread differs from an essay or blog post in that it can’t always be planned out in advance, despite how the tweetstorm feature seems to be designed—it’s more like a live performance, one where other Twitter users can encourage you and egg you on in specific directions. “They’re thinking in a way that feels more intimate and more personal,” Willett said of threads. With this new feature, what if you plan out a 100-tweet thread … and no one shows up to read it? If a tweet threads in the forest and no one reads it, does it make a sound? Others who have had threads go viral agree that the tweetstorm feature, as currently envisioned, may fail to capture the strange alchemy of the thread. “Part of what’s cool about it is that it’s so live and spontaneous, and I feel like this planning in advance would that kill some of it,” said Gabriel Rosenberg, a Duke University professor and Twitter user. “You don’t want to lose the spontaneity. I think that there is beauty in the fact that you’re thinking out loud as you write,” said Esther Choo, a tweeting emergency room doctor in Oregon. Twitter didn’t share a time line with TechCrunch for the feature’s public launch. Whenever it arrives, expect the forecast to remain cloudy with a chance of tweetstorms.